Formation of trihalomethanes (THMs) through excessive chlorination in the supplied water and its carcinogenic nature is a public health concern in many parts of the world, including a couple of neighboring countries in Asia. However, the issue was not yet addressed either in the public health policy or in academia in Bangladesh. Therefore, the objectives of this study are to determine the THM concentration in supplied water, its multiple pathways to the human body, and an estimation of resultant carcinogenic risk to urban dwellers in six different regions of Dhaka city. Thirty-one supplied water samples were collected from 31 different water points located in Purana Paltan, Naya Paltan, Kallyanpur, Shyamoli, Malibagh-Rampura, and Panthapath regions in premonsoon time. Total chlorine and chlorine dioxide (ClO2) and trihalomethane (THM) concentration were determined using UV-VIS spectrophotometer; total organic carbon (TOC), total inorganic carbon, and total carbon concentration were measured using TOC analyzer, and chloroform concentration was determined by applying gas chromatography-mass spectroscopy (GC-MS-MS) in the supplied water samples. Research findings indicate that THM concentration exceeded the USEPA acceptable limit (80 ppb) in all regions except Panthapath. Study results showed that carcinogenic risk via ingestion was higher than the USEPA acceptable limit of 10−6. Carcinogenic risk via dermal absorption and inhalation exposure was lower according to USPEA acceptable limit. 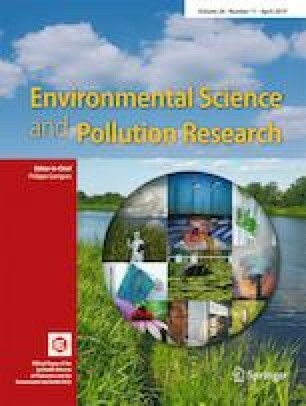 To conclude, this study represents the current knowledge about THM concentration in supplied pipeline water and adverse health risk, which signifies that regulatory measures should be taken to reduce the THM concentration. The work was supported by Bangladesh Council of Scientific and Industrial Research (BCSIR) under an R&D project.